A friend of mine obtained a large number of static (non-scrolling) LED signs made by Electronic Displays Inc (EDI). 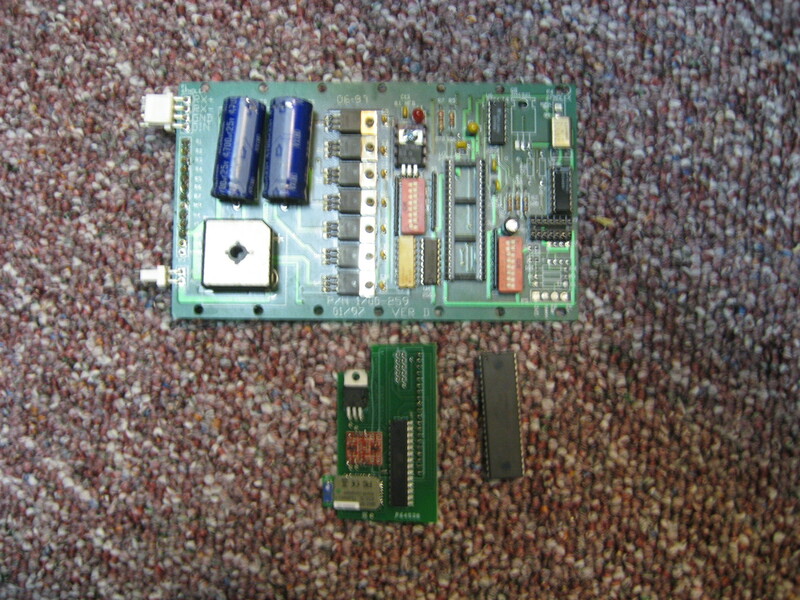 The signs communicate using RS232 or RS485 serial connections. We decided to improve the signs by replacing the serial communication with Bluetooth so no data cables need to be routed to the sign. We also decided to make the signs more interesting by giving them a large message memory and effects such as scrolling, blinking, bold font, etc. These modifications are easy to add using a board I designed that plugs directly into the socket of the PIC microcontroller already in the sign, replacing it and adding these features. 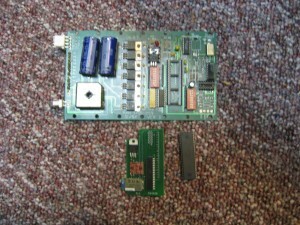 Our board is on the bottom-left and the PIC microcontroller it replaces is to the right.